A recent advertisement was released by Revolut, a banking app company that has locations around the world. The company’s advertisement shamed singles for not having a date on Valentine’s Day. Following the pushback from people about the advertisement the company posted a Tweet that only made matters worse. Revolut needs to be aware of the importance of singles in society today. Rather than single shaming singles for not having a Valentine’s Day date, the company should be aware of the importance of single people as consumers in the marketplace. 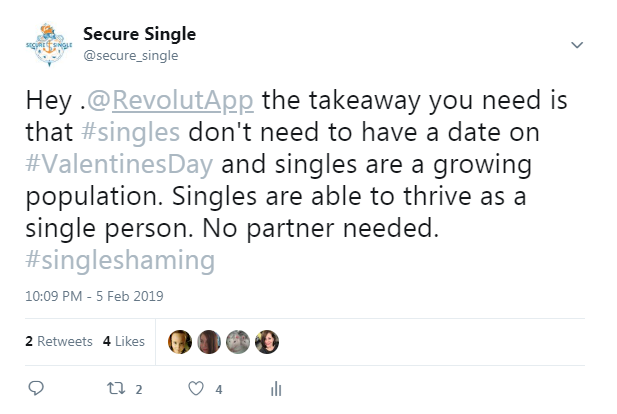 There are three ways that singles can respond to the Revolut’s single shaming. Revolut, along with other organizations and politics need to catch up to the fact that singles are on the rise and are a major demographic today. Singles are the new normal as they make up 45% to more than 50% of the population in the United States and in nations around the world. Those numbers do not seem to be going away anytime soon either. 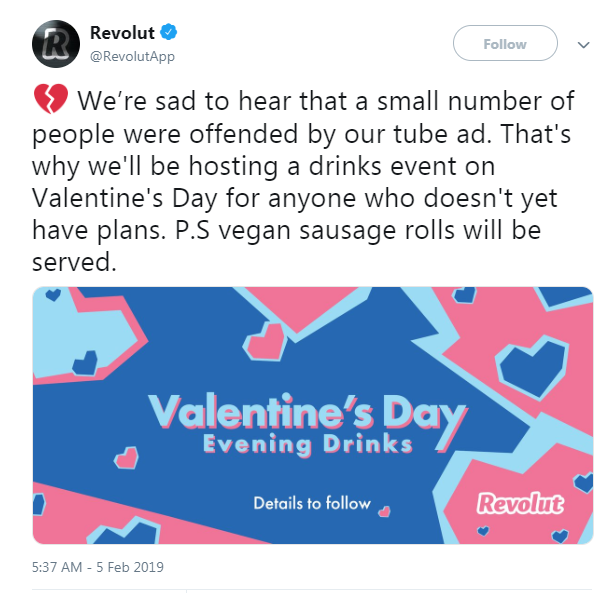 Single people are not a small group of people as Revolut thinks, as seen by the Tweet that they sent out following the controversy of its single shaming advertisement. There is nothing wrong with being single or unmarried and there is definitely not anything wrong with not having a date on Valentine’s Day. Apologizing for the advertisement and saying that Revolut would never make an advertisement like this again would make it up to singles. Hosting a drinks event does not make up for it. 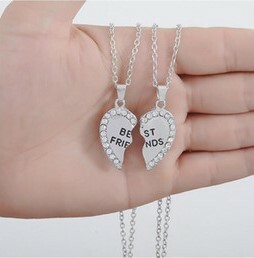 Singles can make their own Valentine’s Day drinks because it is fine to celebrate alone and singles do not need to have a plan that involves a date. Revolut is a digital banking app that markets itself as an alternative to traditional banks. Since singles are a growing population in the United States and worldwide, single people are a group that has growing influence when it comes to saving, investing, and taking out loans along with other services that banks provide to customers. It would seem that as a digital banking app Revolut would be interested in attracting singles to use its app due to the demographic size of singles and the money habits of singles. This advertisement only hurts its brand and makes singles now negatively associate Revolut with single shaming. That is 45% to 50% of the world population now not having a good view of a brand. No company would want that to happen. It happened to Revolut. 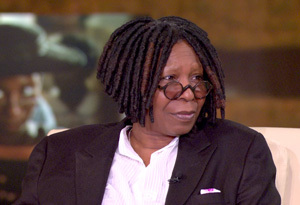 There are three ways that singles can respond to single shaming when it happens. 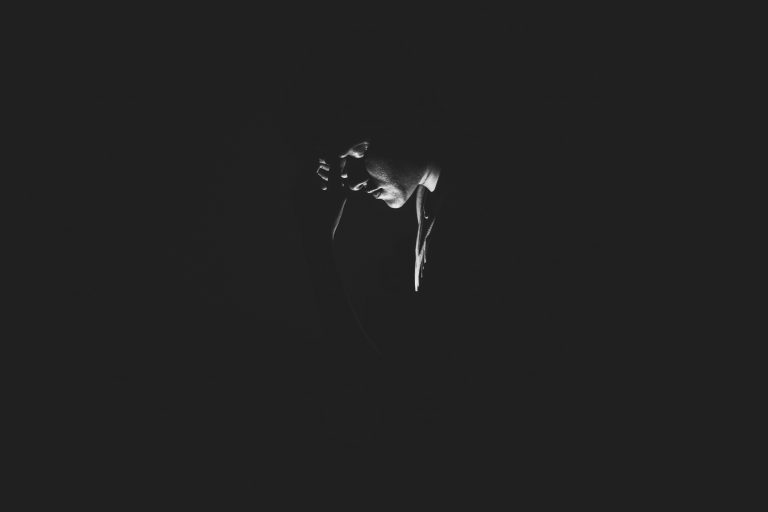 The first option is to not do anything because you realize that it may not a big deal to you and you are confident enough as a single that it does not bother you. That is a valid position. However, while it is good to be comfortable and happy as a single, it does not help to destigmatize how society still views singles. The second option is to directly contact the organization that does something that shames singles to notify them of the problem. This is another option that gives the organization feedback from those who consider it as a problem and allows the organization to learn from it so they can fix the problem in a future advertising campaign. 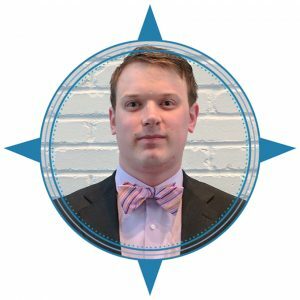 The third option is to become a single activist and to work to gather people on your social media platforms to start an online discussion that targets an organization for having a single shaming advertisement or position. Many on Twitter have already done this. Options two and three are the most likely to lead to a direct change to improve how organizations, politicians, and society views and treats singles. It is up to you, Secure Single readers, which direction you use to respond to Revolut’s single shaming and any instances of single shaming that happen in the future. The Revolut single shaming merely shows how out of touch it is with global demographics and trends which any company should be knowledgeable of when creating a marketing campaign. 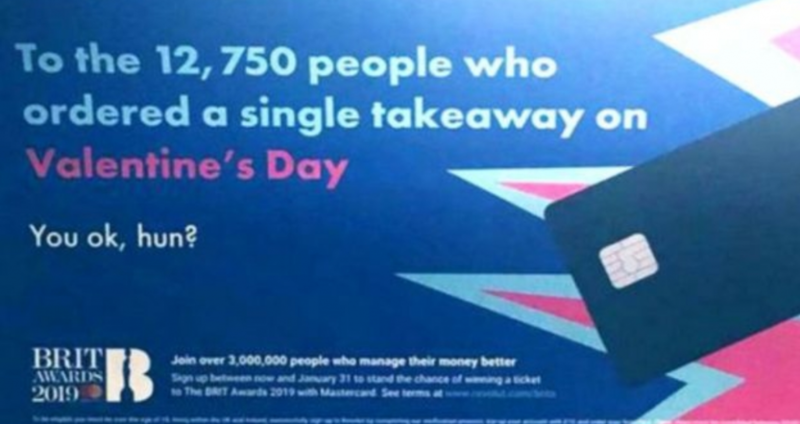 The Revolut single shaming could result in singles, a large demographic, to not be interested in the brand because of the controversy surrounding its Valentine’s Day advertisement. Regardless of how you may feel about the advertisement, there are three main ways that you can respond to single shaming incidents when they happen today and in the future.